Sheena &The Rokkets Next Live !! 7/3 Makoto Ayukawa@TalkShow about Movie"Stoned" & Brian Jones !! 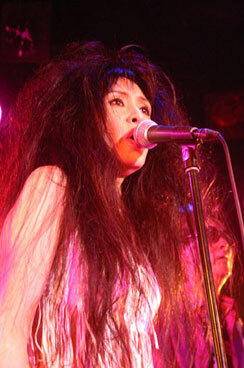 3/8 Sheena & Makoto Ayukawa@"LIVE ! RESPECT STONES ！！"
10/10 Sheena & The Rokkets@京都西部講堂"Borofesta'05"
10/8 Makoto Ayukawa DeeJay with Sheena@"BLACK LEATHER RIOT vol.4"
8/21 Sheena & Makoto Ayukawa＠"Lightning Blues Guitar '05"at YAON"
1 2 3 4 to be cotinued !! Makoto Ayukawa Birthday Live !! Kopyright(k)1998-2007 Hippy Happy House website [http://rokkets.fast.co.jp/] All Rights Reserved.